Some skills needed to be a surgeon is communication skills, leadership skills, patience, organization skills, and problem solving skills. The tasks done to be a surgeon is diagnosing patients illness or injuries, giving patients exams, taking medical history's, and preforming surgery's. 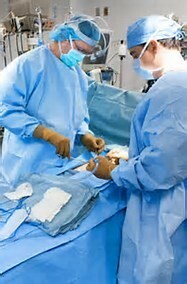 Many people who want to be a surgeon have to have a bachelors degree. but everyone must finish biology, math, chemistry, physics, and English. Before starting your internship you must go to a medical school. When I become a surgeon, I am planning on working in north side hospital because that's were I was born and they saved my sisters life there when she was 1.